Are you heading to the City of Light soon? Are you vegan and worried about how being vegan in Paris will be? Well, you have come to the right place for reassurance and information because I am vegan and have visited Paris several times. Being vegan in Paris is easier than you think. Here you will find budget-pleasing and affordable tips on how you can easily remain vegan in Paris during your visit there. Depending on your goals and length of stay in Paris, frequenting the Parisian grocery stores ensures being vegan in Paris is an easy task. Outdoor markets such as this one make it effortless to be vegan in Paris. Sure everyone wants to sit in a French cafe or outside in their front patio watching the world stroll by, eating delectable French food. You will certainly want to research vegan restaurants in Paris as there are many recommendations. My goal here is to give you options to make it very easy for you to remain vegan in Paris and are kind to your budget. 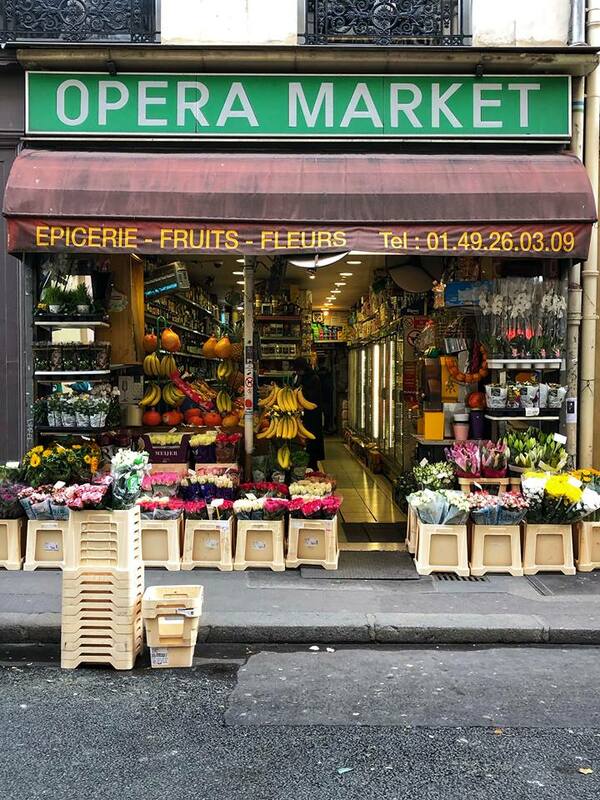 There are locally owned grocery stores on just about every Parisian block. And Fran Prix is a chain store that is everywhere you will be going around town. Your accommodations will dictate what vegan items you are able to buy. If you are in an Air B&B with a kitchen, you can get just about anything. If you are in a hotel, with a little refrigerator in your room, you are fortunate, and also have great options. If no refrigerator is available to you, that is OK because there still is a lot you can buy and easily remain vegan in Paris. 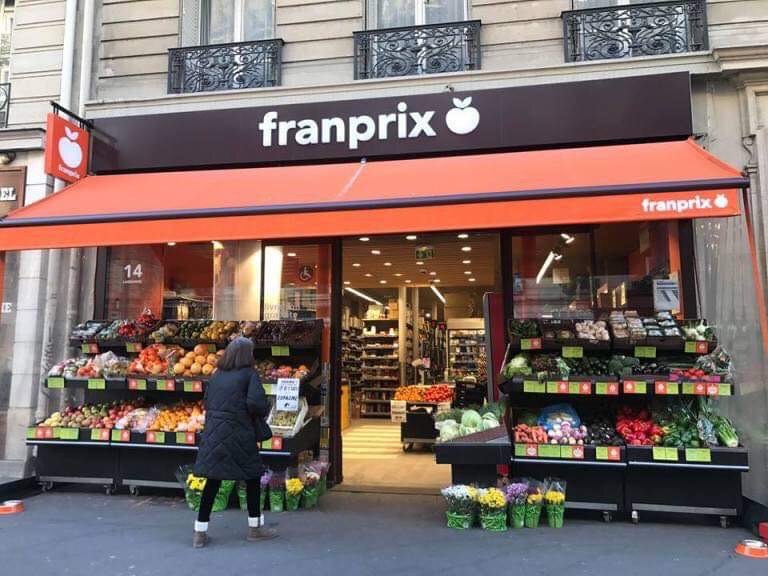 Fran Prix grocery stores make it easy to be vegan in Paris. Bananas, cereal, yogurt, and plant-based milk are ingredients that make for a great breakfast to begin your day and make being vegan in Paris easy and affordable. As a vegan in Paris, you are already aware you must never leave home (or in this case, your hotel/Air B&B etc..) without healthy vegan options to eat. At the grocery store or local market, you can stock up on French bread, snacks, drinks, plant milk, and fruits and veggies. When you leave for your day around town, bring food reinforcements. Of course, we all are aware of just how important it is to stay hydrated especially when traveling. To remain eco-friendly, bring along a nondisposable water bottle. One that filters the water you will be drinking if possible. This 4 stage filtered water bottle is reasonably priced and comes in some cool colors to choose from. This Escape glass filtered water is a bit more pricey but is made of glass instead of plastic, if that concerns you and also comes in a wide variety of colors. On your day trip, along with your reusable water bottle, bring along sandwiches, snacks, and fruit. Apples and oranges are sturdy fruits that can handle being tossed around all day in a purse or backpack and help nourish you as a vegan in Paris. If you are one that does not travel with a backpack, this lightweight foldable travel backpack would be perfect for you as a vegan in Paris. It folds up for packing in your luggage and is lightweight for when you tote it full of vegan goodies around Paris. Comes in yummy colors too. You have to bring your own grocery sacks when you go grocery shopping in Europe, and Paris is no exception. Of course, you may use your backpack, but I like to have dedicated reusable bags for shopping. These reusable grocery sacks are foldable and would take no room at all in your suitcase. They come in multiples and in very cool colors too. Going out to eat at Parisian restaurants for all your meals can be a huge budget buster, so consider making dinner when you get back after a long day of sightseeing. Pasta with veggies and plant-based veggie burgers on a vegan bun are some suggestions that do not take a lot of time to prepare and make being vegan in Paris so easy. This way you can save your travel money for paying for entry into one of Paris’s many interesting attractions. 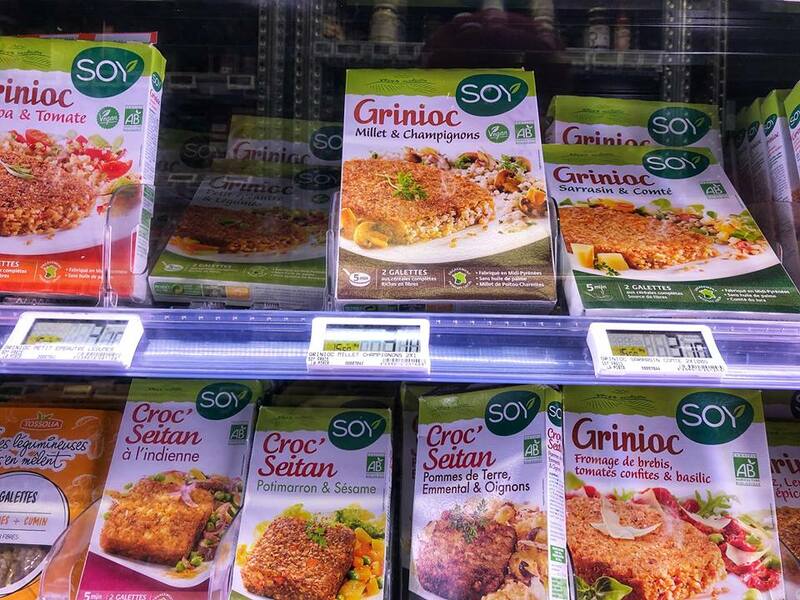 Here are some of the vegan options in the Fran Prix frozen foods section that will entice you as a vegan in Paris. When you are out and about and find that perfect French bistro that entices you, do not be intimidated (because it is French!) to speak to the wait staff, or even the chef to veganize an entree for you. Any establishment worth their weight wants to please their clientele, and none want an unhappy customer. This entree of avocado toast and onion side salad was made vegan for me upon my request. 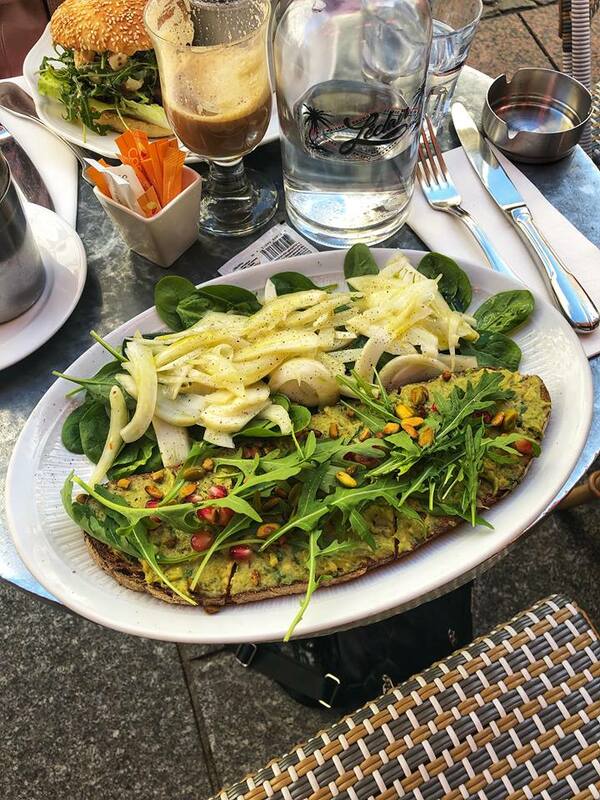 These days, being plant-based is more widely recognized and accepted than it ever has been, and for the most part, there should be a food option or two for you to choose from just about everywhere you decide to dine at that will make being vegan in Paris very easy for you. 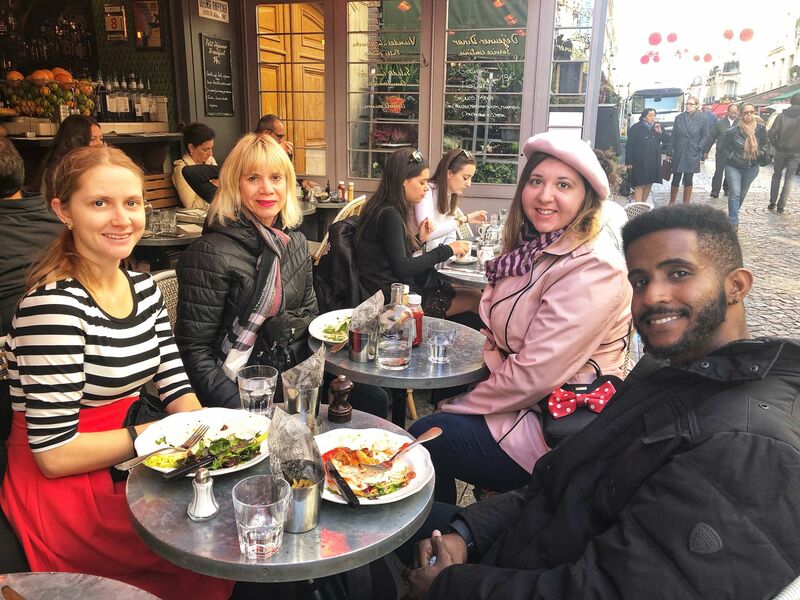 My family: 1 vegan, 2 vegetarians, 1 omnivore, enjoying lunch outdoors at a French bistro. Paris has a wide variety of food to offer a hungry tourist, especially when it comes to fast food restaurants which will aid in making it easy for you to be vegan in Paris. You will recognize the major chains. Do not be leery to investigate them all, even ones you would not frequent back at home, because in Paris, even the chain restaurants offer vegan options. 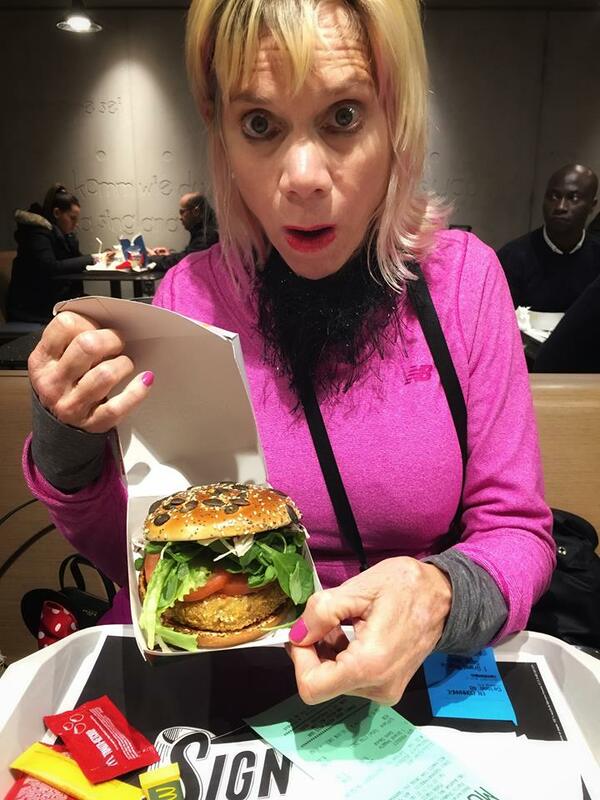 Imagine my surprise when I discovered McDonald’s in Paris offered vegan options which made it delicious for me to be vegan in Paris. If you do not ordinarily frequent fast food establishments when you are at home, you may want to consider it as a vegan in Paris. 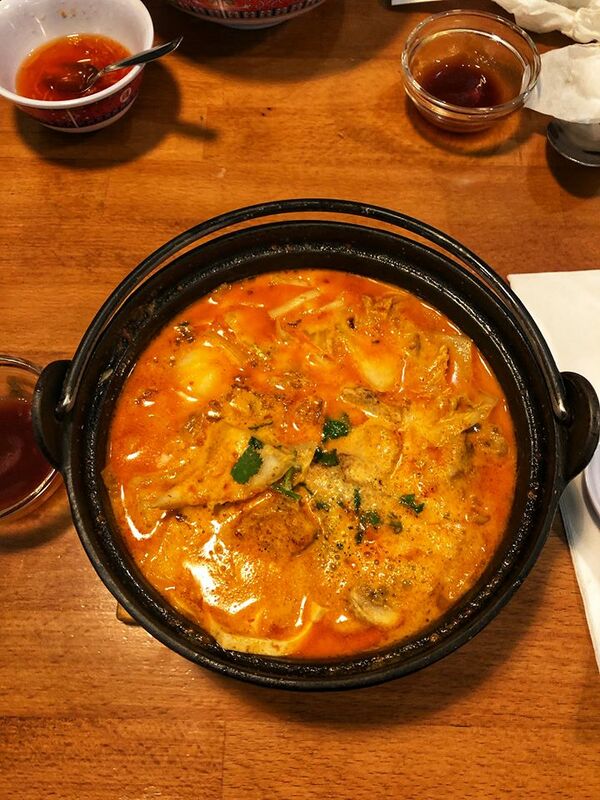 If you are traveling with family, or in a group, the majority often dictates where to eat. Rest assured being vegan in Paris is a lot less difficult because you can find vegan options everywhere. Besides French pastries, the French make some wicked good gelato! And while most French pastries are off limits to anyone wishing to remain vegan in Paris, rejoice because there is vegan gelato. And vegan sorbet. And they are all yummy. My fave is chocolate gelato. It is a bit more difficult to find as not all shops have vegan chocolate gelato, but when you do find some, you will be rewarded with such luscious deliciousness. 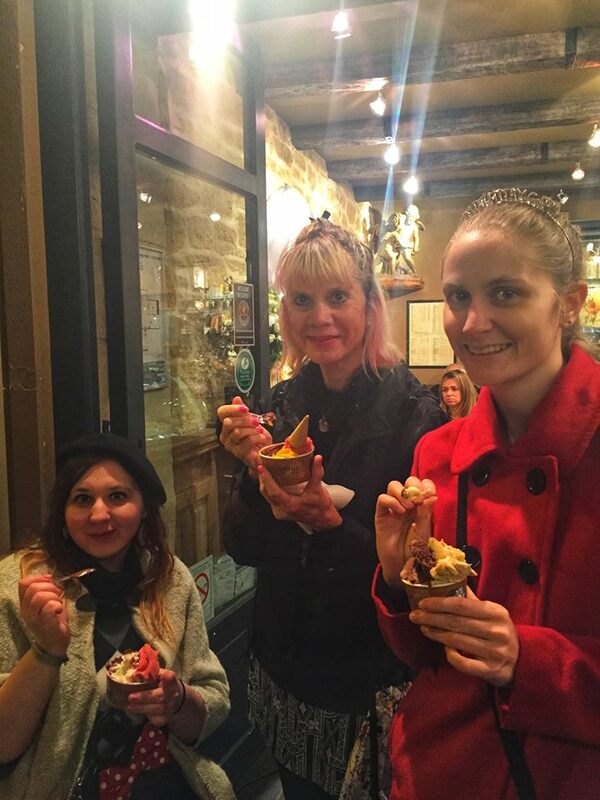 Here I am, a vegan in Paris, enjoying vegan gelato and sorbet with my two daughters. 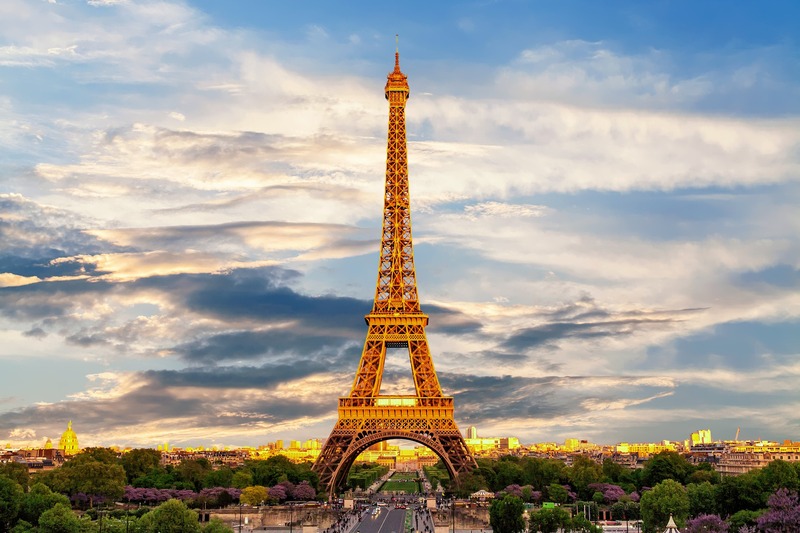 Depending on what district you are staying in during your time in Paris, and also depending on your vegan in Paris foodie desires, plan on traveling out of your neighborhood to reach your vegan nirvana. During our last trip to Paris, our little group of four (1 vegan, 2 vegetarians, 1 omnivore) decided on a vegan Asian restaurant. It was a ways away from our Air B&B and included a metro ride and a few-blocks-long walk once we arrived in the restaurant’s neighborhood. Vegan restaurants in Paris are trendy and popular so plan on waiting in a long line for a seat if you arrive during the busy time of day. Fortunately, we got there right when the restaurant opened and we were seated promptly. By the time we left, there was a waiting line of hungry customers and the restaurant was full. On a cold evening, this vegan in Paris had piping hot vegan satay at the popular Tien Hiang vegan Asian restaurant. If you are a vegan and are planning a trip to Paris, I know these 5 tips will help you stay vegan in Paris. Restaurants will be flexible with their serving options, stores and markets will have snack foods and fruits and drinks for you, and vegan restaurants are around if you look for them and make plans to travel to them. Are you vegan and been to Paris, or have you traveled to Paris with a vegan? What additional tips do you have to offer? Please leave in the comments sections below.